We operate under the notion that America belongs to us Christians and that we belong to it. We believe that preaching the Kingdom of God and rallying around the red, white, and blue are always compatible, but if you are like a growing number of Jesus followers, you’ve had this splinter in your mind for a while now that tells you there is something suspicious about attaching a national flag—any national flag—to the cross. With the Sermon on the Mount as the constant reference point, The Jesus Tribe fleshes out the implications, possibilities, contradictions, and complexities of what it means to live within the Jesus Tribe and in the shadow of the American Empire. Ronnie McBrayer was born in the foothills of the North Georgia Appalachians and claims he barely survived the fire-and-brimstone, fundamentalist instruction of his hard shell Baptist-raised childhood. But in the great comedy of God, Ronnie has spent his adulthood in Christian ministry, both preaching in and protesting against; both loving and leaving; both running away from and returning to the church. The faith he is trying to keep isn’t in organized religion, however. It is in Jesus. Ronnie is the author of the nationally syndicated newspaper column “Keeping the Faith,” as well as multiple books and publications, including Leaving Religion, Following Jesus. All I can say is that Ronnie McBrayer ‘gets it.’ He’s a superbly talented storyteller and writer who challenges us to live with courage in a world where society’s rules don’t always match what is taught in the Gospels. Refreshingly honest and poignant, Ronnie McBrayer’s The Jesus Tribe will make you think and inspire you to reach higher in your spiritual journey. In The Jesus Tribe, Ronnie McBrayer picks up on a tribal theme that I discovered while researching my book Jesus Died for This? I keep finding pockets of Christians from a diverse range of backgrounds who have gathered together to explore what it means to follow the Living Christ in the twenty-first century. Throughout this book, Ronnie offers spiritual seekers suggestions for how to shift from worshiping a Constantinian Christianity and move towards following the living Christ. This vividly written book on the Sermon on the Mount and the way of Jesus Christ deserves very wide attention. Fast-paced and readable, filled with memorable stories and illustrations, McBrayer makes the distinctive way of life of the ‘Jesus Tribe’ both clear and appealing. He also joins a chorus of voices these days contrasting that way of life with the way of the American Empire. I warmly endorse this challenging and important book. Ronnie McBrayer’s The Jesus Tribe speaks directly to the heart of so-called ‘American Christianity.’ McBrayer challenges the very notion of a Christianity aligned with the ways of empire. Instead, drawing from his Cherokee roots, he offers unique perspective on the American relationship between God and country and lifts up an alternative ‘way’—the Jesus way. McBrayer’s is a welcome voice added to a symphony of contemporaries whose interwoven themes call forth and chart the twenty-first-century ‘re-formation’ of our evangelical faith. What a treasure! Ronnie McBrayer is never at a loss for a good story or illustration to reveal the authentic Good News of Jesus that has so often been taken captive by Empire. 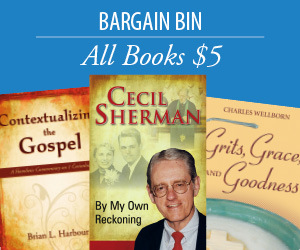 His book is grounded in solid scholarship, the witness of countless true disciples across the ages, and his own life experience, as he unfurls the Way of the Jesus Tribe. For those tired of a Jesus wrapped in the flag or imprisoned within dried up churches, this book is one big banquet of satisfying, holy food. In a lively and engaging style, Ronnie McBrayer cuts through theological jargon and unwraps the central teachings of Jesus and his upside down Kingdom. This is must reading for all those who seek to follow the way of Jesus. Ronnie McBrayer’s The Jesus Tribe offers a gutsy, folksy embrace of the Way of Jesus as expressed in the Sermon on the Mount. 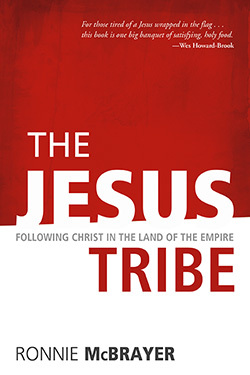 Drawing from his own Cherokee heritage, McBrayer utilizes the idea of tribe as over against empire to call followers of Jesus to embrace an alternative lifestyle, one that goes against prevailing notions of national idolatry and that understands Jesus’ followers as a tribal family living out the radical commitments of the gospel. At moments humorous and at other moments passionate, The Jesus Tribe is a page-turner that ordinary church members will understand and that, perhaps, will change their lives. Don’t read it . . . unless you are ready to look honestly at what it means to really follow Jesus.